Meizu Technology has officially introduced the Meizu zero, the world’s first holeless mobile phone. Building on the foundation of Meizu’s core R&D efforts over the last 15 years, zero harmonizes art and technology which sets new performance levels for Chinese smartphones. The Meizu zero is the world’s first holeless mobile phone, uniquely crafted from a three-dimensional ceramic unibody, a truly holeless design with IP68 Certified Dust & Water Resistance. The device features a large capacity with Meizu’s patented Super Wireless mCharge; the Meizu zero is capable of achieving wireless charging at 18w. Meizu zero features Wireless USB exceeds the limit of transmission speed. 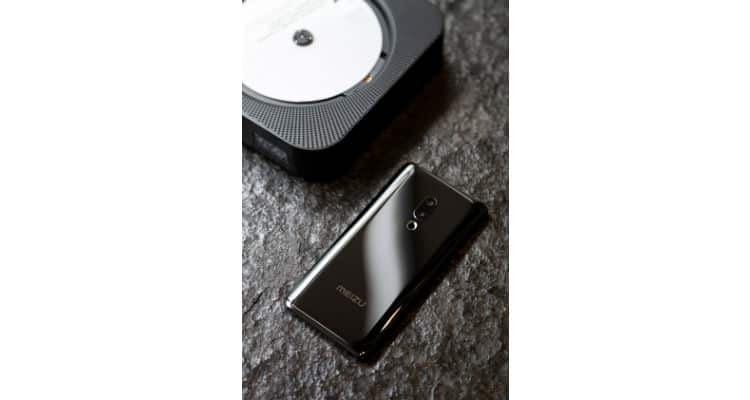 Its groundbreaking mSound 2.0, the zero can pump out full audio from its display, and combined with its Pressure Sensing Technology, the Meizu zero offers an unprecedented design acts as a vision for future flagship smartphones. Cutting-edge design is inherited in the DNA of Meizu’s corporate culture. Through the combination of innovation and superlative craftsmanship, the Meizu zero not only creates a new benchmark for flagship Smartphone but also bringing the revolutionary technology from future to the present. The ceramic unibody finish gives Meizu zero not only unrivalled standards of technical perfection but resembles the flawless beauty of a natural gemstone. Meizu zero comes with the stunning 5.99-inch AMOLED display with UHD resolution to deliver incredibly vivid colours. The under-glass fingerprint sensor is capable of scanning fingerprints through its 2.5D glass panel, offering the ultimate convenience and absolutely stunning quality. Thanks to the efforts our technicians, Meizu zero features mSound 2.0 which allows the display to function as a speaker, by eliminating the earpiece notch, it brings in a truly holeless screen. With the optimized internal structure, premium audio materials, Meizu zero delivers outstanding sound quality and unmatched loudness level. Meizu features patent’s Super Wireless mCharge that employs intelligent internal chips; it offers a wireless charge at 18W and is able to significantly reduce the heat generation. The zero comes with a dedicated charging base, which makes your desk a user-friendly environment without having messy cables. Attributed to the high speed of wireless USB 3.0, Meizu zero offers unrivaunrivalled transmission; with the high-efficient architecture design for wireless transmission, it allows you to transfer HD movie between devices at an incredible speed, pushing data transmission speed to the utmost. With IP68 Certified Dust & Water Resistance, zero can withstand submersion under water for 30 minutes. To achieve a true uninterrupted design, the zero eliminated the SIM tray by adopting eSIM, with this digital management capability, users can efficiently manage multiple devices which significantly improving the user experience. With an adaptive UI, Meizu zero gives you a flexible layout system based on your needs; you can easily answer phone calls either horizontally or vertically.